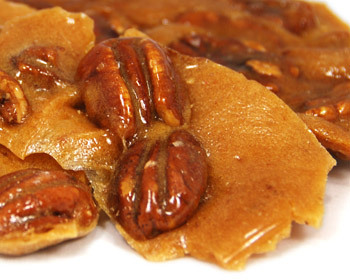 Mammoth pecan halves roasted & coated in Kilwins crunchy kitchen-made brittle candy. 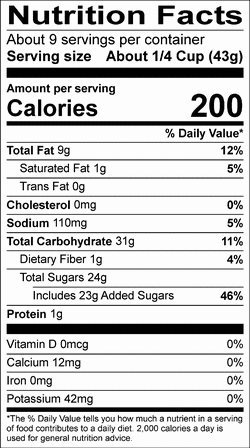 INGREDIENTS: sugar, pecans, corn syrup solids, butter (cream, salt), baking soda, salt, vanillin - an artificial flavor. CONTAINS MILK, PECAN. FACILITY PROCESSES PEANUTS AND TREE NUTS.